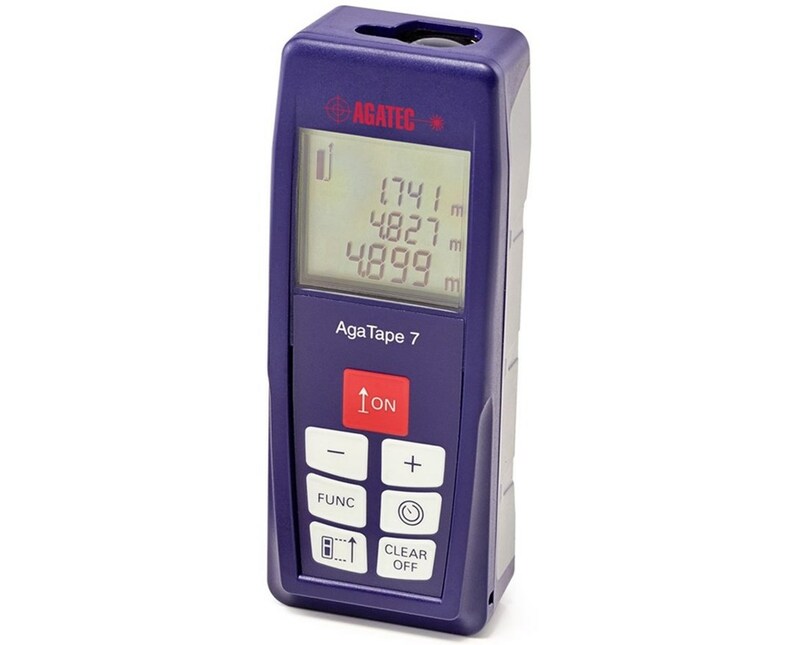 The Agatec AgaTape 7 Laser Distance Meter makes measuring easier than ever with its accurate readings within ±1/16-inch and a wide working range of up to 230 feet. This digital measuring tool utilizes real laser technology to measure distances, areas, and volumes. It can also determine indirect measurements using the Pythagorean method, truly a great tool for both indoor and outdoor use. 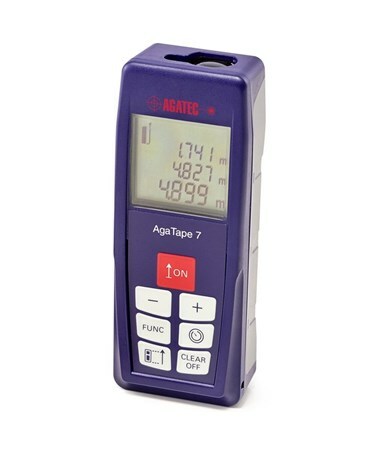 The AgaTape 7 is integrated with a “max/min” measuring mode that allows the construction professional to make level measurements without the use of a level vial. 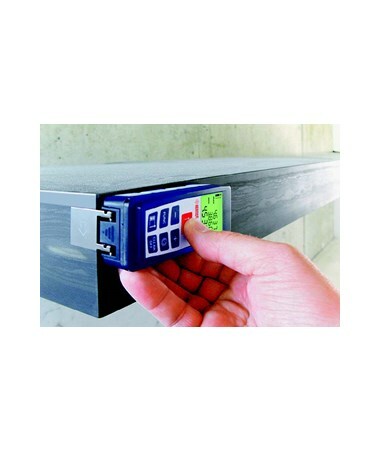 It also enables the contractor to make corner to corner measurements with ease and accuracy. In addition, this laser measuring device features a "stake out" mode for setting up pre-determined distances. A self-triggering timer also contributes to this laser measurer’s exceptional functionality and accuracy. Featuring battery-saving technologies, the instrument turns off after three minutes while its display backlight shuts off automatically after 20 seconds of idle activity. Built as lightweight and portable, the AgaTape 7 also features an illuminated display making it easy to view even in low light. 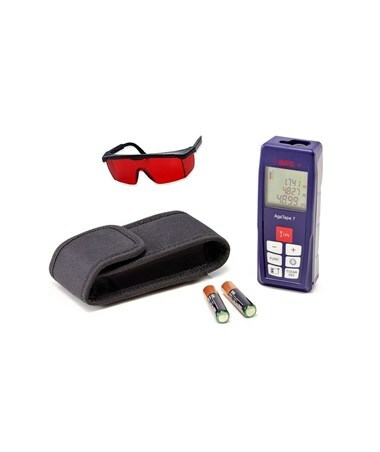 Despite the extensive capabilities of this laser distance measuring tool, the AgaTape takes no more than two AAA batteries to run. This included battery pack lasts up to 5,000 measurements. 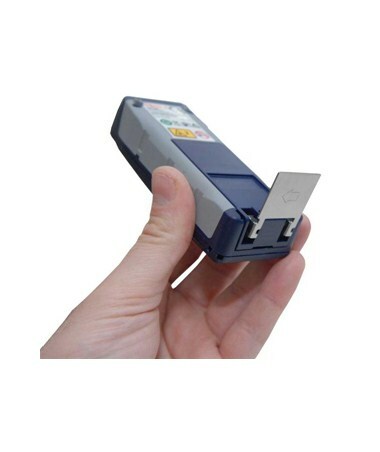 With its IP54 rating, this laser measuring device is protected against dust or water damage. The package comes complete with a carrying pouch, belt loop, and a 2-year warranty.